When you have a pet, you inevitably experience a lot of pleasure and enjoyment. But taking care of your pets is a great responsibility and you should learn about some tips and tricks that will make yours and your pet’s life easy. Here are a few. Did you know that just like light-colored humans, light-colored pets too get sunburn easily? Fortunately, the sunscreen that works for humans works for animals too. So, protect your beloved pet from the sun’s harsh heat by dabbing a little SPF 15 sunscreen on your pet’s nose and ear tips. If you want to change your brand of dog food but your Fido is not ready to eat the new food, what should you do? Just place a piece of beef jerky in the bag and reseal it. The next day, the smell will wear off on the food, making it much more appetizing! 3. Where will You Purchase Food for Your Pet? 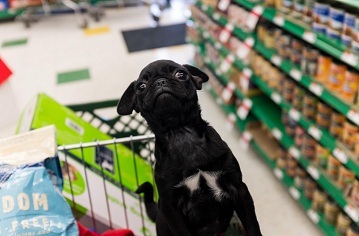 While looking for good pet food, you’ll have to shop around and compare prices at the pet store to those at your grocery store. 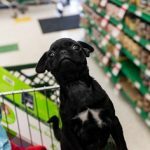 A recent survey has shown that pet food tends to be costlier at pet stores than at grocery stores. Monday, Friday, Saturday and Sunday are the busiest days at a pet groomer’s shop. You can get a groomer who may be offering discounts on Tuesdays to Thursdays. 5. What to Do to Stop Your Cat from Scratching Furniture? If yelling at your cat upon his scratching your favorite piece of furniture is not of much use, there is a great solution to the problem. Take a spray bottle and mix ¼ teaspoon of cayenne pepper, ¼ teaspoon of cinnamon and 1 cup of water in it. Test the solution first on an inconspicuous area to make sure it won’t leave stains. Cats hate the smell of this solution and won’t put their paws there. Repeat every few days. If your new puppy is chewing through your table and chair legs, visit your local health food store and get some clove oil. We feel the smell of clove oil great, but it’s horrible for dogs. Rub the furniture legs with the oil and your doggy will stay away from them. If your cat is reluctant to take pills, try first rubbing them in butter. This will make them taste better to your kitty and the pills will also slide down the cat’s throat more easily. These are small tips and tricks you can try for the safety and well-being of your pet so that you both can enjoy each other’s company the most.